Paul Hughes has represented immigrants concerning both employment-based and family-based immigration applications. He has also represented employers sponsoring their employees for immigration status, whether on a temporary or on a permanent basis. He has practiced before both the United States Customs and Immigration Service and the Immigration Court. His immigration services include filing for temporary employment authorization (H1b or L1). Paul Hughes also represents owners of a foreign corporation who wish to place an officer or manager in its United States office (EC1c) and foreign investors who wish to invest in a business in the United States (EB5). He can assist the investor locate substantial business opportunities in which to invest. 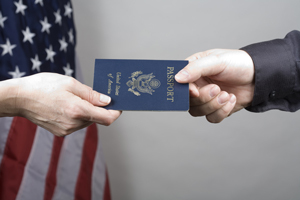 Attorney Hughes’ services have enabled his clients to obtain temporary or permanent residence on their way to successfully attaining status as United States’ citizens.